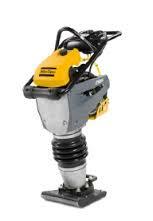 Atlas Copco LT800 11 inch Jumping Jack/Rammer available for rent in Rochester NY, Ithaca NY and Upstate NY from the Duke Company. Atlas Copco are all about making things easier for you. That’s why our rammers are suitable for work on both cohesive and granular soils. They are easy to handle in all stages of operation and it doesn’t matter how often or in what condition they are used. The rammer is there for you when you need it.